Thank you all for the outpouring of your support, your calls and your emails. We are all doing well. Kerri's surgery went very well. 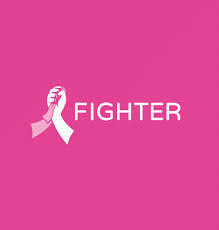 The good news is that the cancer, while in stage 3, had not spread and was isolated in the breast tissue. Kerri is recovering very well and is in high spirits. Having my family here has been of tremendous help to us. My mom and sister are keeping her spirits high ( making sure she gets her rest and mind occupied), while making sure that Veer is kept busy and looked after as well. And of course moms home cooked meals are the best path to recovery. And knowing that we have friends and well wishers such as yourselves , has been of tremendous help in keeping her spirits strong. We are waiting now for the 18th of this month, when we meet with the Chief Oncologist and Surgeon to decide upon her Chemotherapy sessions. We are hoping that she doesn't need them. We are also exploring alternative such as Cannabis (Medicinal Marijuana ) and other natural suggestions. Also hoping that she does not need those sessions ! Sending much love to you all !